Oh what a glorious day. 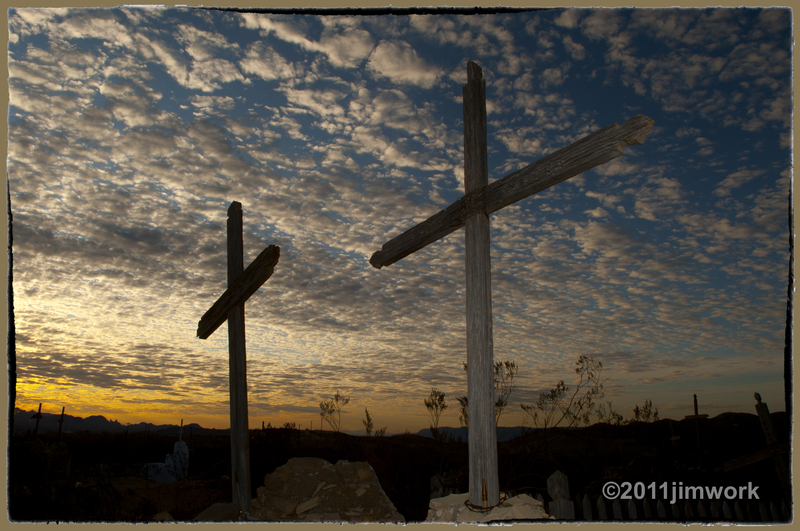 Started with sunrise in the old cemetery at Terlingua, Tx. Not a place I usually hang for a sunrise, but we are staying in the “Ghost” town and it was an easy morning walk. It was a day with Roadrunners, mountains, Cardinals, Hawks, and a couple of other beautiful birds I have yet to look up in my guidebook. A lot of driving in the mountains (yes, we have mountains in Texas), high desert, low desert and a lot in between. More of the same tomorrow. Riding in my truck with my favorite girl, life is good….enjoy the drive.